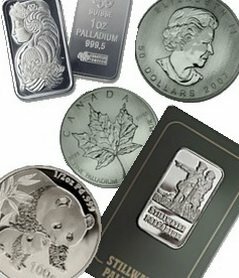 Buy Palladium: Platium Coin Sells for $6000! 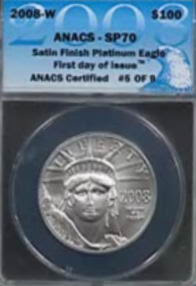 Check out this YouTube video of a Platinum Eagle selling on a QVC type channel. Apparently there were only NINE of them that were in perfect MS70 condition. That's expensive platinum! As I write this platinum is $840 an oz. These, however, are a bit more. Wow!